Off-road training school RawHyde Adventures is offering a pretty tantalizing deal for anyone considering buying a BMW R1200GS: new tires and a trip to Mexico. Based in California and Colorado, RawHyde is an official BMW training center, which means it gets an all-new fleet each year from BMW then sells them on at the end of the season. The company is seeking to offload 42 GS models, as explained in this charmingly low-budget video. 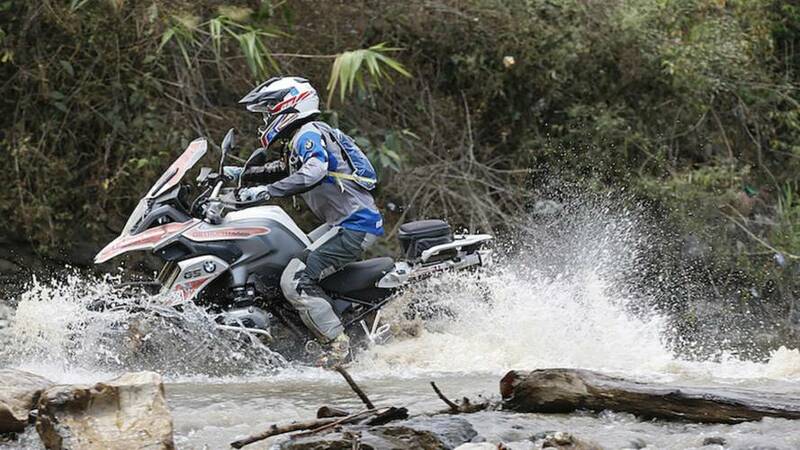 People purchasing an R1200GS or R1200GSA will also get two set of tires thrown in, as well as off-road training and a five-day expedition either to Mexico or with RawHyde’s Expedition CV training program. Ostensibly this is a really good deal. It means you can buy an almost-new R1200GS – used for less than a year – at considerable discount, and you get all the goodies thrown in. Though, buyer beware; it’s worth considering how the bikes have been used. 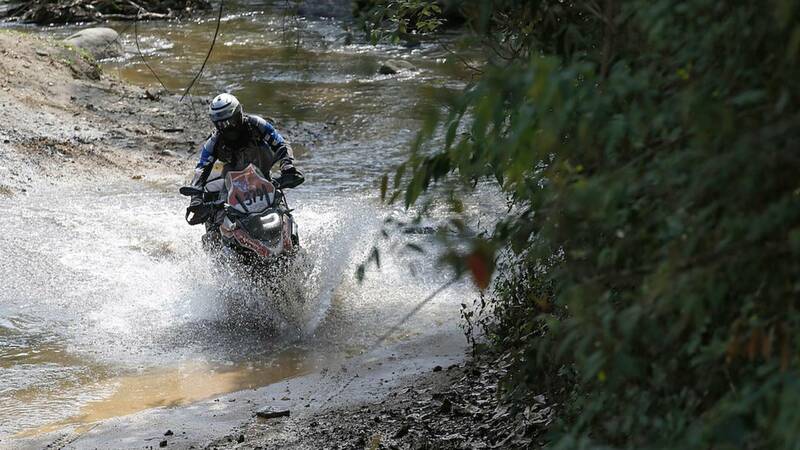 Off Road Skills is a UK-based official BMW training center that operates under a very similar system. In the case of ORS, the bikes are sold on by UK dealership Bahnstormer. I took a Level 1 course with ORS back in May (highly recommended, by the way, if you’ve never done that sort of thing). 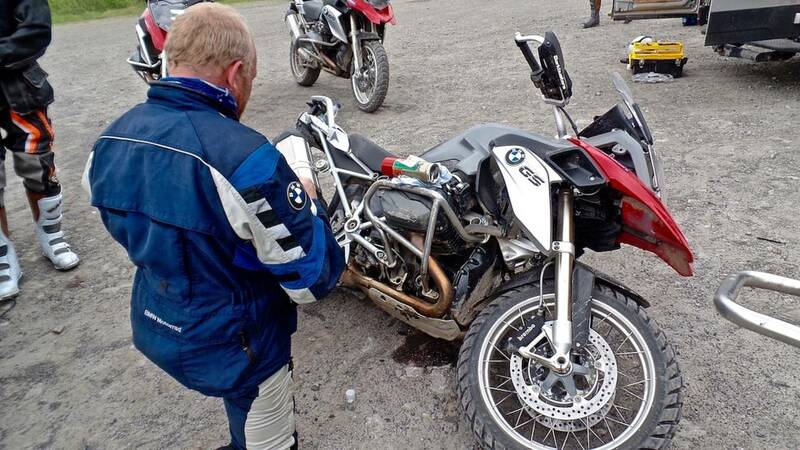 On the second day, I binned the R1200GS I was riding in a simple 25mph crash that ripped the trousers of the “adventure” suit I was wearing. The crash also busted the bike’s rocker cover and resulted in an engine that was spitting oil. We patched things up with some sort of mysterious spray that I’m totally sure will have fixed the problem forever. But it’s worth it to consider how bikes will have been treated over a season by numerous idiot off-roading noobs such as myself. One of the instructors used magic spray to repair the damage I caused. Still, like everyone everywhere, I’ll concede that the R1200GS is a damned fine machine. The R1200GS (along with the R1200GSA) is easily BMW’s most popular model worldwide and is its best-selling model in the United States. In a number of European countries it has consistently ranked as the overall best-selling motorcycle of 600cc or greater. To learn more about RawHyde’s offer, contact them at (661) 993-9942, or visit the RawHyde Adventures website.